Creating a policy for employee mobile phone reimbursement can be tricky. Unlike the rules surrounding other business expenses, IRS regulations governing employee cell phone use are ambiguous and in a state of flux. To date, no single model of cell phone reimbursement has become an industry norm. Finance departments need to carefully consider the model through which they reimburse employees for personal technology. In this article we present a tactical approach to the challenge of creating a cell phone policy. Ultimately, we recommend that you use your employee expense workflow to reimburse each employee either $50 or $75 a month. This policy is IRS-compliant, scalable, and convenient for employees and Finance admins. Here’s why. Please note: Abacus does not provide accounting advice. Speak to an accountant to determine the particular needs of your business. Is reimbursement right for your business, or do you want to provide company phones? If you decide to reimburse, should you do so under an accountable or non-accountable plan? How much should you reimburse? Let’s take them in order. The first question is whether to reimburse employees for part of their monthly wireless bill or to implement a corporate cell phone program. Eighty percent of enterprises provide mobile devices to employees, which is a policy known as “corporate-owned, personally enabled” technology, or COPE. This approach is attractive to companies with particular concerns over data security and compliance. But to obtain this added control, companies have to manage big mobile contracts involving dozens, sometimes hundreds of devices. The cost is almost always higher than a reimbursement policy would be. Employees generally don’t like carrying two devices, and they always prefer using their own. The expense and hassle of providing corporate-owned cell phones is what has led to the rise of reimbursement plans, colloquially known as “bring your own device.” BYOD is a more scalable, affordable, employee-oriented policy than COPE. The security trade-off is small for most companies: you probably don’t need to listen in on employee conversations and track their physical movements. You just need them to be able to speak to clients and work remotely. Since most companies only need to meet that limited use case, reimbursing employees for personal devices is simpler and cheaper than providing phones. But COPE options do exist. If you decide to reimburse employees for part of their monthly cell phone bills, the next question is whether to do it under an accountable or non-accountable plan. The expense has to prove a business connection. This requirement is met by showing that the use of a cell phone is ordinary and necessary, and that it took place as part of the employee performing their job. It has to be accounted to the employer in a timely manner. The employee must return any excess reimbursement. The best way to handle this is simply to not reimburse them in excess of what they’re owed. We’ll cover this in the next section. Any plan that fails on one of these points is non-accountable and requires your employee to either write you a check for the excess amount or report their reimbursement as income. Luckily, you can meet all these requirements with a system you already use every day: your employee expense workflow. Reimbursing cell phone use through your expense management system ensures that each reimbursement will be accompanied, in a timely manner, by the date, documentation, and business purpose of the expense. After all, that’s already the standard for all your deductible expenses; it’s the same reason why record-keeping and reporting will be easy. Employees already know how the submission process works, and they’ll definitely be happy to not pay unnecessary taxes. Having employees submit their cell phone expenses as T&E, as opposed to handling reimbursement via payroll or another Accounts Payable process, allows you to pay your people under an accountable plan without changing any of your workflows. Another way to avoid excess reimbursement is to require the employee submit the cell phone bill as part of the expense, the same way you would require a receipt for a client meal expense. That way, you’ll be able to see the total bill amount and avoid reimbursing more than that. Thanks to a few rule changes over the past few years, the IRS now requires far less documentation to support the dollar amount of mobile reimbursements. Back when cell phones were treated as listed property, companies had to be prepared to justify the level of reimbursement based on the percentage of business versus personal usage the phone had each month. That meant call logs with highlighted line-items and inconsistent reimbursements month-to-month. Now that the reporting requirements have relaxed, you mostly need to ensure that you reimburse reasonably and not in excess. Simple. Solve the reasonable part by being consistent. With standard, company-wide reimbursement levels, it’s easy to defend any given reimbursement, should the need arise. That’s probably why so many businesses use this approach. Implement a two-tier system that applies to everyone in the company who needs cell phone reimbursement. Pay a set dollar amount to lighter cell phone users and a higher dollar amount to more frequent users. You’ll decide on your own reimbursement levels, but we suggest $50 for low business use and $75 for high business use. The average monthly cell phone bill is $73, according to data from 2014, which means that high-use cellular bills probably exceed that amount comfortably. Also, $75 is an informal de minimis threshold for expenses, since below that the IRS doesn’t require receipts to accompany deductible expense claims. Regardless of where you set your dollar amounts, it’s critical that any reimbursement be less than the employee’s total bill. Even if an employee uses their personal cell phone entirely for business, but pays only $73 a month, you’re still not allowed to reimburse them $75. That’s $2 in excess, which constitutes income, which means they either have to return that money to the business or report their entire reimbursement as income. Reimburse them at a lower tier and avoid this problem. In two consistent tiers across the company, always less than the total amount of the bill. Some companies don’t have any cell phone policy at all, and thus do not offer any reimbursement or COPE phones. If you choose to go this route, be sure that your employees in no way feel that they need to use phones to do their jobs. Otherwise, you could be held liable. In 2014, an appellate court in California ruled against an employer who didn’t reimburse employees for personal cell phone use. The company’s logic was that since employees pay for personal cell phone plans regardless of their work, businesses don’t need to subsidize what is essentially a personal choice. The lower court actually agreed with the company, but the higher court didn’t, and set a precedent of ambiguous legal impact around the requirements of BYOD employers. Best practice is to avoid this problem entirely. Times have changed, and even if you’ve never had a BYOD or COPE policy before, now is the time to create one. The goal of a corporate cell phone policy is to provide your workforce the mobile technology they need in a way that is compliant, consistent, and fair to employees. It sounds simple, but a quick look at how businesses handle their mobile policies reveals a confusing array of approaches. 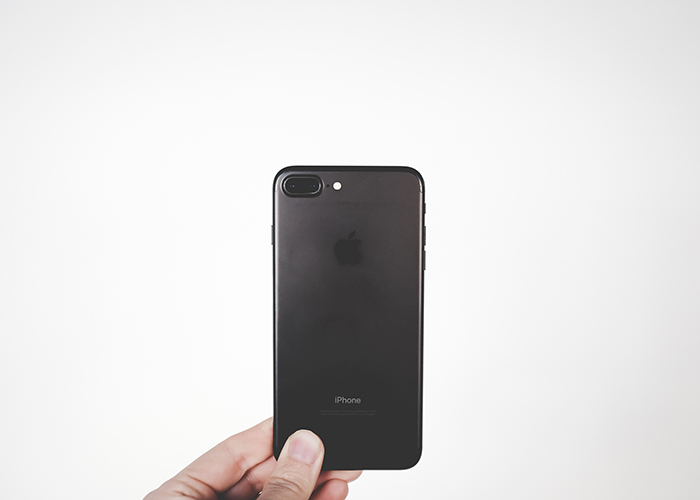 The reason is that even ten years after the debut of the iPhone, the IRS still hasn’t quite figured out how to streamline the process of reporting and deducting mobile technology costs. To solve this problem, the IRS should consider creating a federal rate for cell phone reimbursements like they’ve done for vehicle mileage, per diems, and other common expenses. Mobile technology is taking over the world, and as businesses find innovative ways to leverage wearable technology and the Internet of Things, the line between personal and enterprise technology will continue to blur. A Safe Harbor rate would lighten the reporting burden of finance teams and the IRS itself. But you don’t need to wait to craft your own consistent, compliant cell phone reimbursement policy. Have employees submit reimbursements as T&E — like 35% of Abacus customers do — and rest easy knowing your company’s mobile strategy isn’t being held up by tax concerns. Abacus does not provide accounting advice. Speak to an accountant to determine the particular needs of your business.